Ring Type: Wedding Band. Main Diamond Shape: Round Cut. Ring Size: 7 US (Free Sizing). You will be responsible for all import duties in your country. Main Diamond Color: D. If so we won't take the product back. Ring Type: Solitaire with Accents. Main Diamond Type: Lab Created Diamond. Main Diamond Shape: Round Cut. Main Diamond Color: White. Main Diamond Weight: 2.0 Cts. Main Diamond Clarity: VVS1. Ring Size: 7 US (Free Sizing). The round diamond accents are set in their own unique prong-setting. Contrastingly, the baguette diamond accents are set in a distinctive channel style. They emit every shade of light that a natural diamond would emit. The diamond accents areindividually placed in their own unique prong-setting. They emit every shade of light that a natural diamond would emit. The radiance and fire of these created diamonds are equivalent if not superior to a natural diamond of a VVS1 Clarity, D Color, Excellent Cut. The stone is not a real diamond, it's a simulated diamond made of glass. Refer to photos for details. Back height: 4.8mm (thinnest spot). This item is not gold plated, gold electroplated or gold filled. The diamond is set in a unique, secure, 5-prong designer style setting. The diamond emits every shade of light that a natural diamond would emit. The radiance and fire of this created diamond is equivalent if not superior to a natural diamond of a VVS1 Clarity, D Color, Excellent Cut. The diamond accents are set in a unique micro-pave setting. They emit every shade of light that a natural diamond would emit. The radiance and fire of these created diamonds are equivalent if not superior to a natural diamond of a VVS1 Clarity, D Color, Excellent Cut. Design --> Solitaire. Main Center Stone Shape --> Princess Cut Approx. 2.00ct. (7mm). Gem Type --> Simulated Diamond. Country of Manufacture --> United States. Diamond Color --> D. Diamond Clarity --> VVS1. The diamond accents are set in a unique micro-pavé s etting. They emit every shade of light that a natural diamond would emit. The radiance and fire of these created diamonds are equivalent if not superior to a natural diamond of a VVS1 Clarity, D Color, Excellent Cut. This set is made of 10k yellow gold. matching three piece set 100% real gold. Total Carat Weight (TCW) -->Approx. --/3.00ct. center round brilliant and. 75ct trillions. 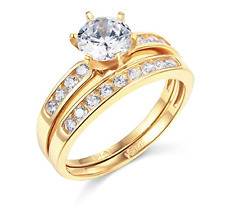 The Center Stone is set in a unique, secure, 4-prong designer style setting. The diamonds emits every shade of light that a natural diamond would emit. The diamond is set in a unique, secure, 6-prong designer Setting. The diamond emits every shade of light that a natural diamond would emit. The radiance and fire of this created diamond is equivalent if not superior to a natural diamond of a VVS1 Clarity, D Color, Excellent Cut. Cut: Radiant, excellent cut, shine, and luster. Cut just like a real radiant diamond. All of our sterling silver collection is set in nickel free solid. 925 sterling silver with rhodium finish to prevent discoloring & tarnish. 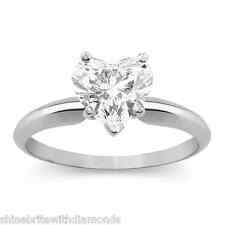 We use the finest diamond simulated in the market. Our simulated diamond shine bright like real diamonds! Cut: Round, Excellent cut and shine Ex Excellent cut and Shinecellent cut and Shine. This is the perfect conflict-free alternative to a mined diamond, these stones are internally flawless, D in color and brilliant in cut with lots of shine. The diamonds emit every shade of light that a natural diamond would emit. The radiance and fire of these created diamonds are equivalent if not superior to a natural diamond of a VVS1 Clarity, D Color, Excellent Cut. The baguette diamond accents are set in their own channel-prong settings. They emit every shade of light that a natural diamond would emit. The radiance and fire of these created diamonds are equivalent if not superior to a natural diamond of a VVS1 Clarity, D Color, Excellent Cut. 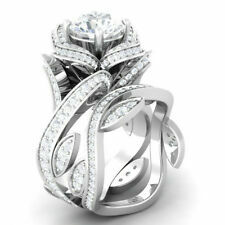 The diamonds are set in a unique, secure, 4-prong Tulip designer style setting. The diamonds emits every shade of light that a natural diamond would emit. The radiance and fire of these created diamonds are equivalent if not superior to a natural diamond of a VVS1 Clarity, D Color, Excellent Cut. Total Carat Weight (TCW);3.50 TW. --/2.85ct. center round brilliant and. 85ct trillions-. RING CAN BE ORDERED IN 14K WHITE, ROSE,OR YELLOW GOLD AND ANY RING;SIZE OR STONE SIZE. Solid White Gold 14k (585). Solitaire Rings. As a Matter of Fact, This Man-made Princess Cut Diamond Looks Much Better Than a Real Diamond Because It Has an Excellent Cut, D Color and VVS Clarity and because it is not made from carbon, it does not have the inclusions that a natural diamond would. The diamond is set in a unique, secure, 5-prong design simulated diamond is equivalent if not superior to a natural diamond of a VVS1 Clarity, D Color, Excellent Cut. Shape: Pear Shape. Design: Solitaire with Accents. YOU WILL FALL IN LOVE WITH THIS BEAUTY, DIVINE RING, THAT WILL GRACE YOUR HAND WITH ROYAL, IF NOT, WITH IMPERIAL ELEGANCE. 925 STERLING SILVER. "ROYAL DIAMONDS" THE WORLD'S MOST GLAMOROUS RINGS. SUPER SPARKLING DIAMONDS SIMULANT. Band have rows of great quality diamonds with diamond cut designs. this set is made of 10k yellow gold. Main Center Stone Shape --> Princess Cut (Approx.). 3.00 ct. 8x8 MM. Design --> Solitaire with accents. Free Gift: 2.50 ctw. simulated diamond studs in 14k white gold over sterling silver with basket setting. Main Center Stone Shape --> Elongated Cushion. Diamond Color --> Canary Yellow. Design --> Solitaire with accents. Free Gift: 2.50ctw. simulated diamond studs in 14k white gold over sterling silver with basket setting.